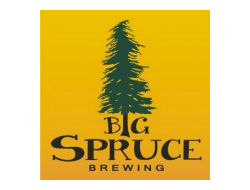 At Big Spruce Brewing, they brew only unfiltered, unpasteurized, unbelievably good beer, using certified organic hops they grow themselves. Drop by their on-farm brewery in Nyanza to taste and pick up a growler of beer. Their farm enjoys a gently sloped, south facing exposure facing Nyanza Bay on the Bras D’Or Lake (Canada’s Inland Sea, and a UNESCO Biosphere Reserve). This sunny position tempers the arrival of fall and provides a solid, sometimes long, growing season. Big Spruce Brewing grows their own certified organic hops, and has an apple orchard and a small market garden.